Cole slaw is such an iconic dish of summer. It goes with practically anything. I found these 50 variations in “Food Network” magazine. Now it really does go with everything. In the classic recipe sugar is called for. If you prefer, you can use an equivalent amount of sugar substitute. Also, you will note that there are a number of option without mayonnaise. Place cabbage and carrots in a large bowl. Whisk together the dressing ingredients. Pour the dressing over cabbage and toss to combine. Substitute Greek yogurt for the sour cream in the classic slaw. Soak 1/2 cup thinly sliced red onions in cold water for 15 minutes; drain and add to classic slaw before adding the dressing. Prepare the classic slaw, but use red cabbage. To the dressing, stir in 2 tablespoons Creole mustard and 2 teaspoons Cajun seasoning. 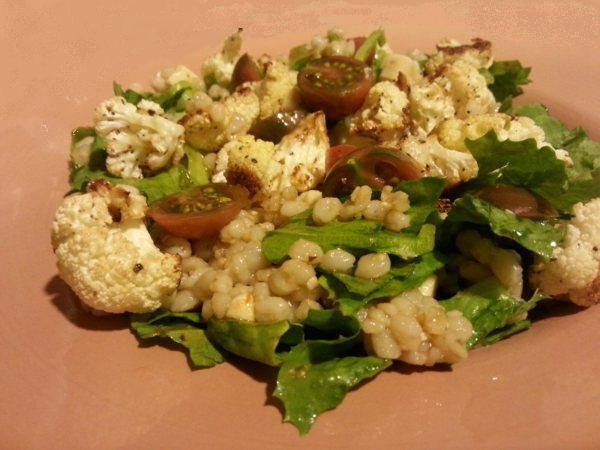 To the classic dressing, add 2 tablespoons pureed chipotles in adobo. Combine 1/2 a head of shredded cabbage in a colander with 1 tablespoon kosher salt. 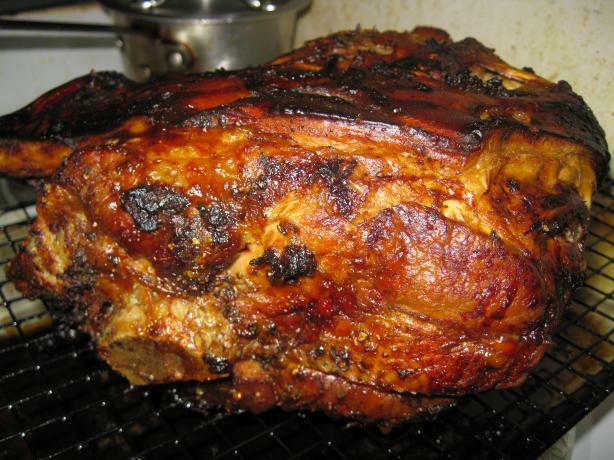 Let sit 4 hours, then rinse and dry. 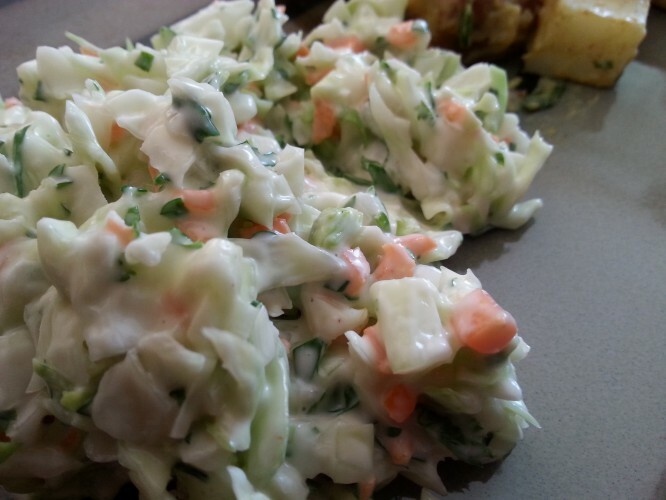 Toss with the dressing from the classic Cole slaw. Soak a thinly sliced red onion in cold water for 15 minutes; drain. Prepare the Hot-Dressed Slaw (number 19) and let cool. Stir in 1/2 cup mayonnaise. Prepare Dijon Slaw (No. 34), swapping yellow mustard for the Dijon. Prepare Dijon Slaw (No. 34), swapping honey mustard for the Dijon mustard and omitting the sugar. Puree 1 avocado, 1/3 cup each lemon juice, olive oil and water, and 1/2 teaspoon kosher salt. Toss with 1/2 large head shredded green cabbage, 1 cup each diced tomato and crumbled blue cheese, and 3 chopped hard-cooked eggs. Top with 1/2 cup crumbled cooked bacon. Let sit in a colander 1 hour, then rinse and dry well. Make the dressing for Cobb Slaw (No. 40). 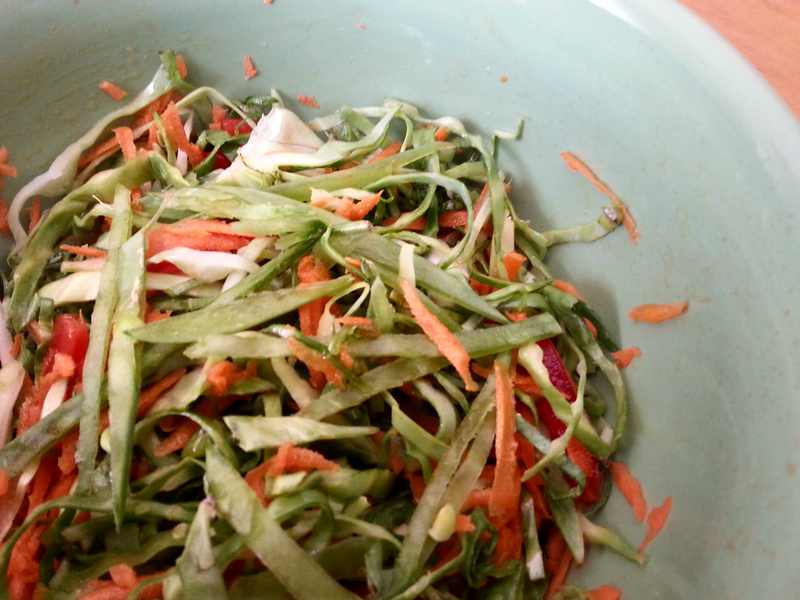 Prepare Soy- Ginger Slaw (No. 44), but use 9 cups thinly sliced bok choy instead of the cabbage. Add 2 tablespoons Sriracha to the dressing. Prepare the Green Papaya–Peanut Slaw (No. 48), but omit the salt and substitute julienned firm mango for the papaya. Soak 1 cup thinly sliced red onion in cold water for 15 minutes; drain. This is such a great recipe source, I hope to come back here often for these variations. They all sound so good. I chose #6 Waldorf Coleslaw to make since we love Waldorf anything and I had everything on hand. 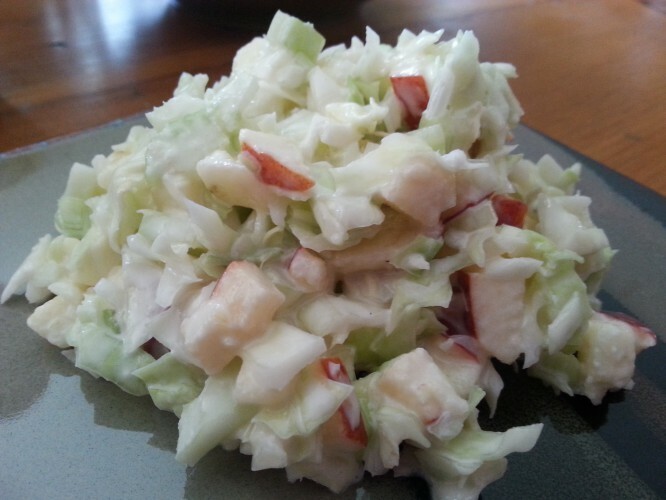 My grandson doesn’t like coleslaw, but he ate lots of this because of the apples and celery I probably overdid the apples and celery and down played the cabbage a bit – but it won him over. This was really good and I will do it again. I look forward to trying other variations as well. 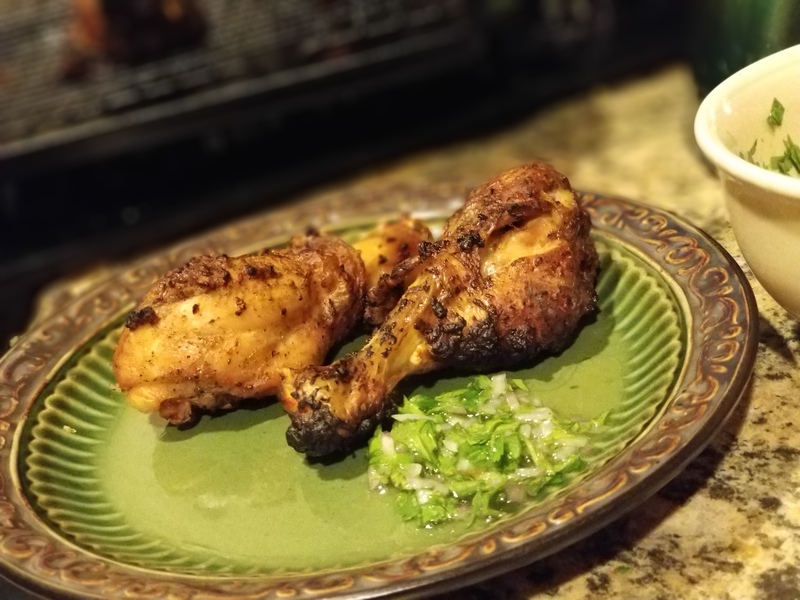 Thanks for posting such a versatile recipe. Made for For Your Consideration Tag.